Features extra Late Night opening until 3am on Wed, Fri & Saturdays. There is a Giant screens for you to enjoy major sporting activities. Have a sit down with our own in-house artiste, tell him what you want and take back a piece of personalised Caribbean Art with you. Speak to Reception and a time will be arranged. Beach including snorkelling. Beach sports include Frisbee, Beach Cricket, Volleyball. For your convenience, there is a Business centre equipped with the latest state-of the-art personal computers for quick internet browsing & whatever else you will need in your office on vacation. It is fully air-conditioned and well- lit. Faxing and copying services are also available from our friendly Reception staff. Use of the Business Centre/ Internet room is complimentary for all guests. Learn about Grenada’s island history with our very local historian while sipping on the island’s best Rum Punch. Our island-teller will take you on a magical journey through Grenada’s past from the earliest inhabitants, from the colonial era right up to this present day. Carib Talk is once weekly and not to be missed. To find out the time and book your place at Carib Talk, have a chat to our team at reception. For all your meeting and conference needs, Kalinago Beach Resort is the place where all of your business deals will be clinched. Ideal for your business talks, our modern conference centre will leave you with nothing to want. For more information, please see our Meetings & Conferences page. probably the most knowledgeable man in the land of Spice, will guide you through our lush local gardens. Learn and sample our indigenous tropical fruits right from the grounds of our resort. See what it takes, and even help Asmo, to bring to life the majestic colours of Grenada’s flowers including varieties that won in the 2009 Royal Chelsea Flower Show. Come get your hands dirty in the soil if you want, you can always wash it off in the sea once you done! Why not browse our extensive Library collection, find that one, yes that one book, the feel good one, sit under a tree on the beach, or near the pool or even on your own private balcony and get lost in that one good book! 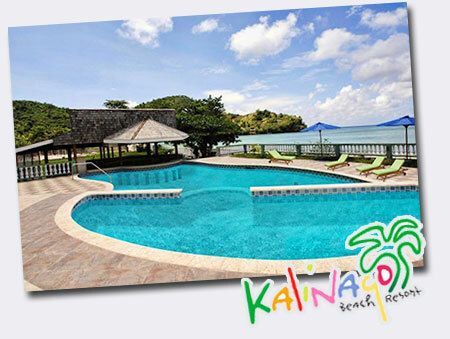 If you feel like reading, there is also a wide range of activities available at Grenada’s Kalinago Beach Resort. For the health conscious and for those who feel guilty about the over indulgences we offer at Kalinago, we offer a Rise & Shine Beach exercise session. Before breakfast, come down on the beach for a bit of stretching, jogging and preparation for the rest of the day. Our Chairlady loves to mingle with the guests and once a week, she hosts an extravagant Caribbean cocktail party, one that cannot be missed, either at her residences or the resort. All guests will receive complimentary entry to a nearby sound-proofed cultural centre, famous for its local events. 'Mabrika, Mabrika' The Welcome of a native Carib. Enjoy a relaxing vacation in our well appointed 29 room beach resort, on a pristine, powder white sand beach, and let us pamper you the way nature intended.